Otterspool was the name of a small creek or pool at a point where the Oskelesbrok flowed into the River Mersey. This brook was known as the River Jordan by Puritans who lived in the area and the name of Jericho Road at Otterspool is also an indication that they were there. The brook was the south-east boundary of King John's royal park at Toxteth. 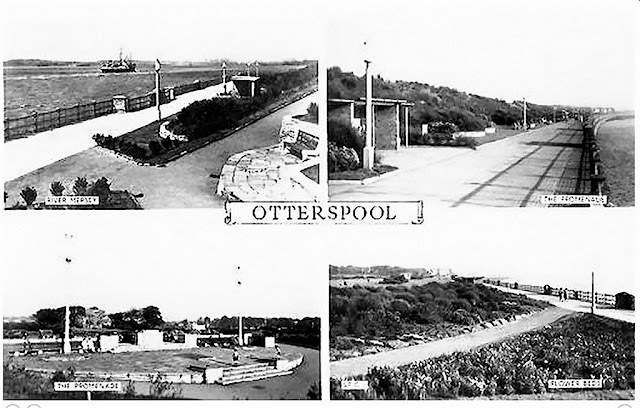 The creek was once a well-known fishery and the fish and birds in the area led to otters coming here to feed. This led to the name of the pool. The water in the brooks and creeks was used to power mills, including a snuff mill, which was built in 1779. 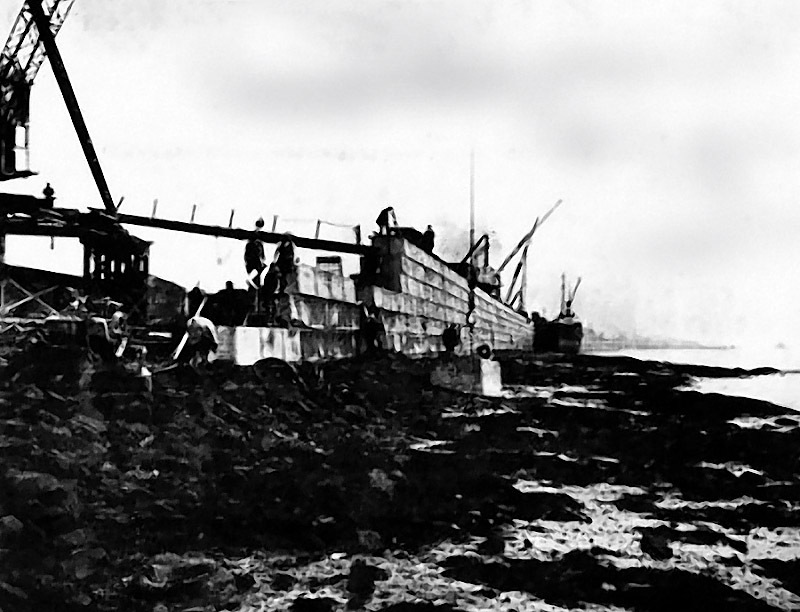 This later became an oil mill and barges loading and unloading became a common site here. A bridge used to go over the creek but it was burnt down along with the mill in the late 19th century. A dock was built here in 1909 south of the old pool and it was planned to use railway sidings to link this dock with the Cheshire Lines Railway so that coal could be moved to the docks. Barges were to be filled with coal and go into the river so that ships in the river could load up with coal. Unfortunately the docks were never completed and this scheme never happened because the people behind the plan went bankrupt. Another landmark which disappeared was the 'Fisherman's' or 'Squatters' Hut, which was on the north-west side of Jericho Lane near the edge of the old river bank. The building was said to be over 300 years old and was the home of fishermen throughout the generations. Liverpool Corporation tried many times to evict these fishermen but after a court case in 1898, when the corporation tried to force the person living there to pay rates, it was ruled that the occupant had squatters rights. 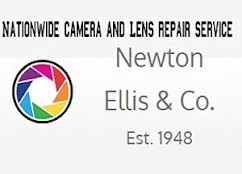 The corporation finally managed to demolish the building in 1933. 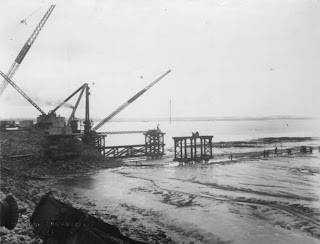 Until the 1900s fish were still in the area in large numbers, which is why fishermen were attracted to the area but the construction of the Manchester Ship Canal and the Dingle Oil Jetty led to the water becoming contaminated and the fish disappearing. 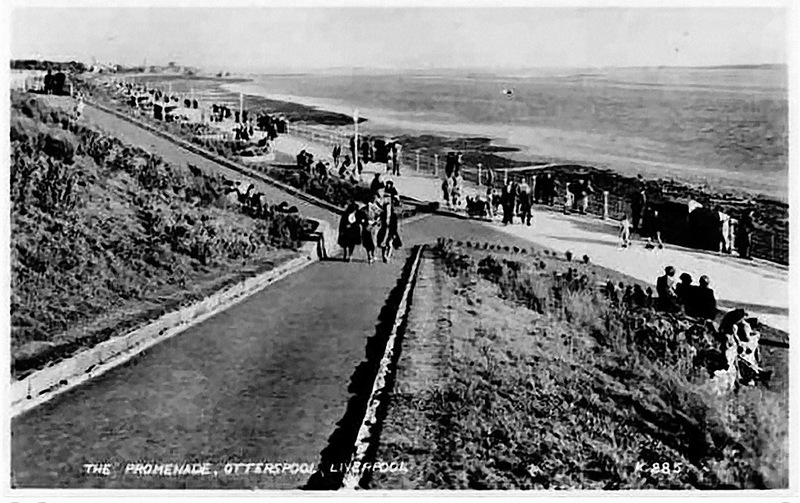 The City Engineer, John Brodie, was keen to see the Otterspool shoreline developed into a leisure attraction. 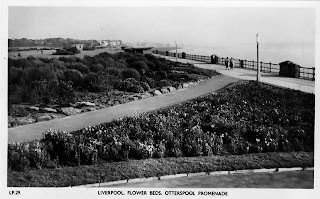 In 1919 Brodie put together a scheme for reclaiming 43 acres of land on the Otterspool shoreline. 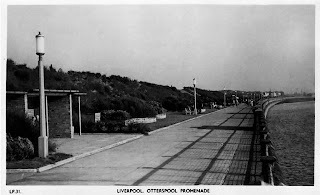 He was the first person to put forward the idea of a two and a half mile promenade from Dingle Point to Garston Docks. Brodie believed that this development was needed as the Pier Head was the only place in Liverpool where people could go to sit or walk next to the river. 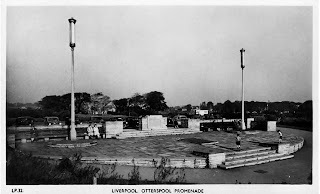 It was not until 1925, however, that work at Otterspool started. The group in charge of constructing the Mersey Tunnel was looking for an area of land to tip large amounts of excavated material from the new tunnel. 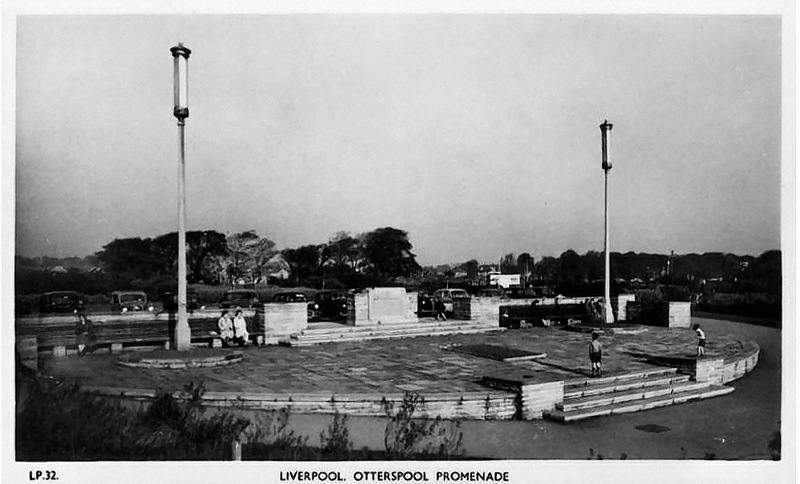 Liverpool Corporation gave them permission to tip these materials along the Otterspool foreshore. Brodie had retired before seeing his ideas become reality and it was left to his successor, Mr. Peirson Frank, to take his scheme forward. 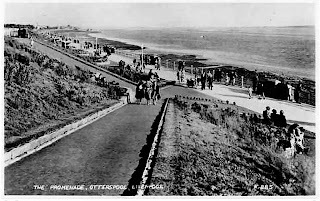 Work began on constructing the river wall at Otterspool in July 1930. 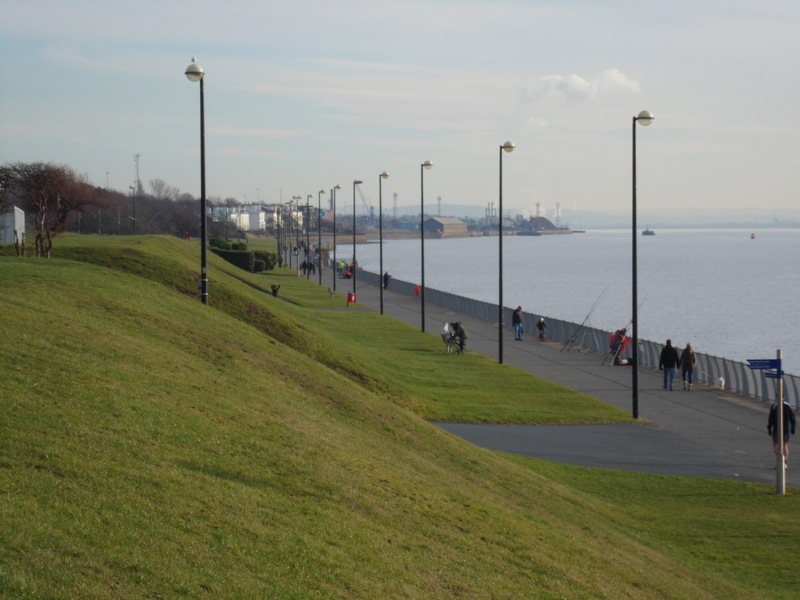 The wall had to be strong enough to put up with a constant battering from the strong water currents in the River Mersey. Concrete was chosen as the most robust material for the river wall. 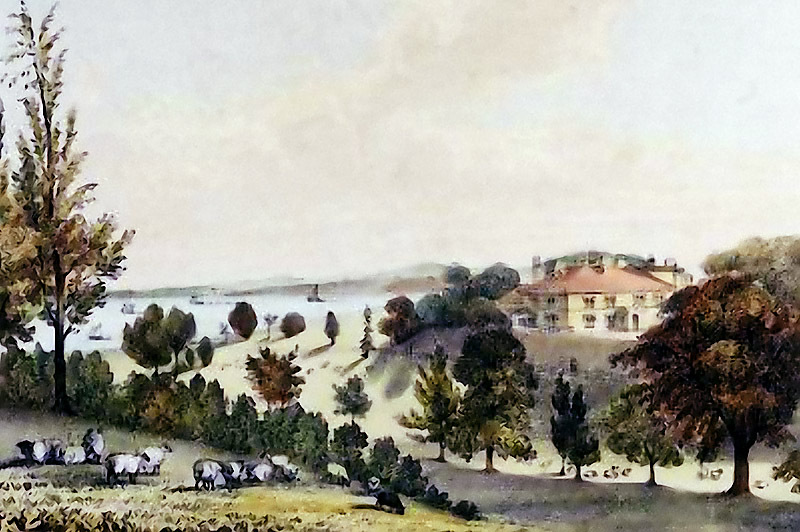 The land between the new river wall and the original shoreline was filled in with domestic refuse. 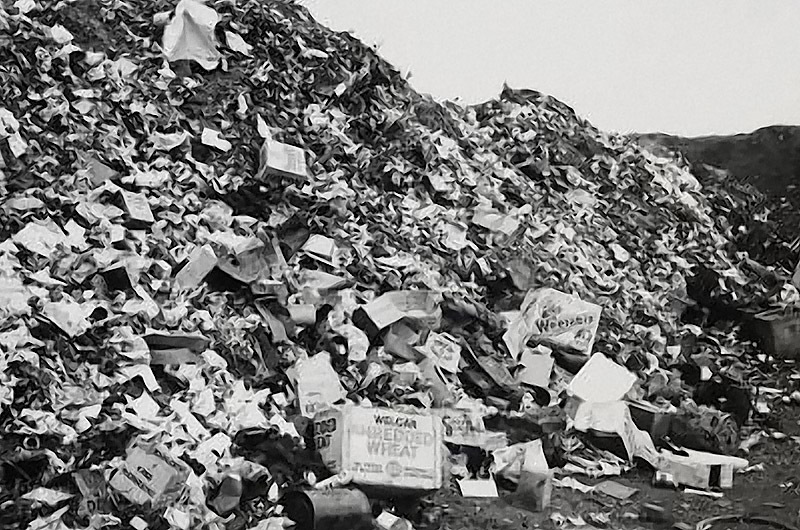 A total of two million tons of refuse material was tipped at Otterspool! 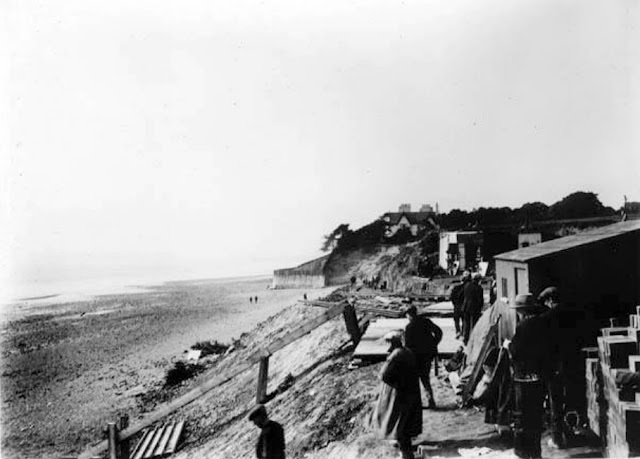 The sea wall was finished in 1932 and the reclaimed area behind the wall was split into five sections to be filled in. This area was used to get rid of most of Liverpool's household refuse until it was completely filled in 1949. 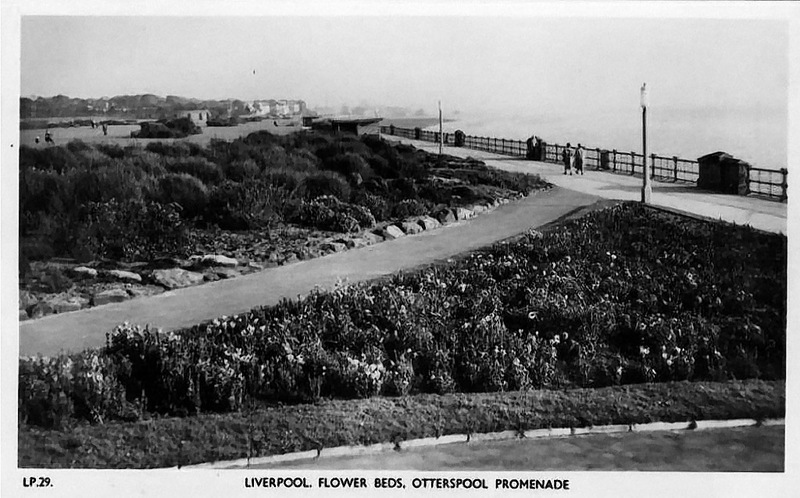 An access road to the tipping area was later used as a normal roadway once the site had been filled in and the end of landfill operations there meant that more work could be done to make the area a pleasant and attractive place for the public to go to. The reclaimed land was landscaped. 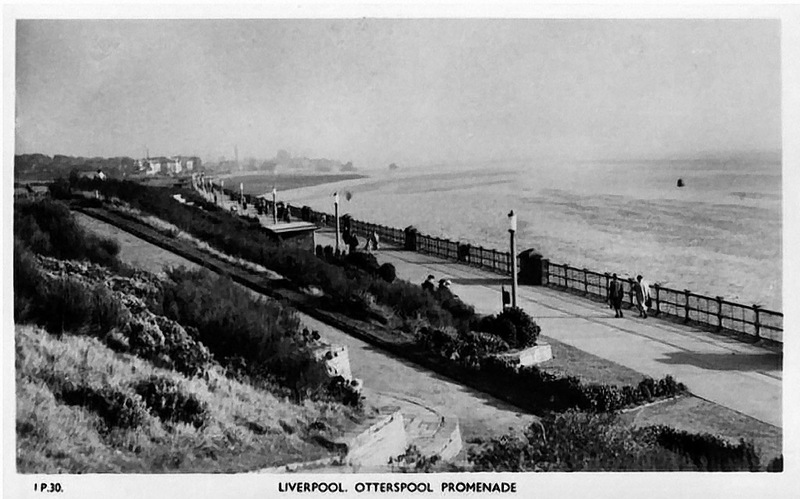 Not only was there a riverside promenade for people to stroll along, but there were bowling greens and a cafe. There was an official opening ceremony for the new promenade on 7th July 1950.